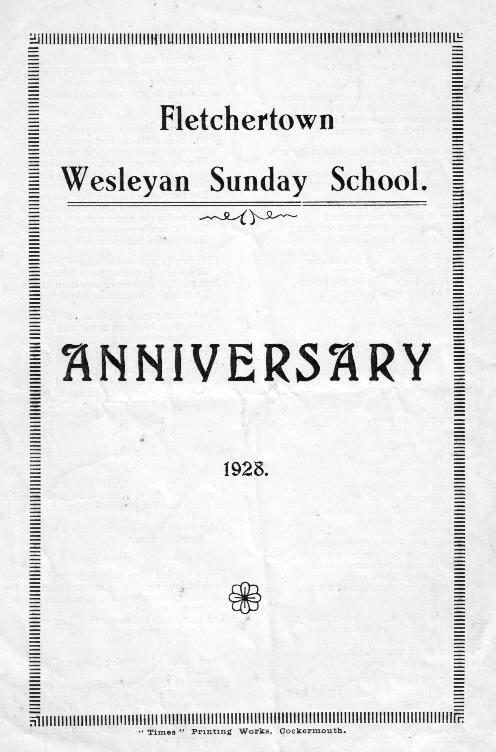 The Wesleyan Methodist Chapel was built in Fletchertown in 1894. 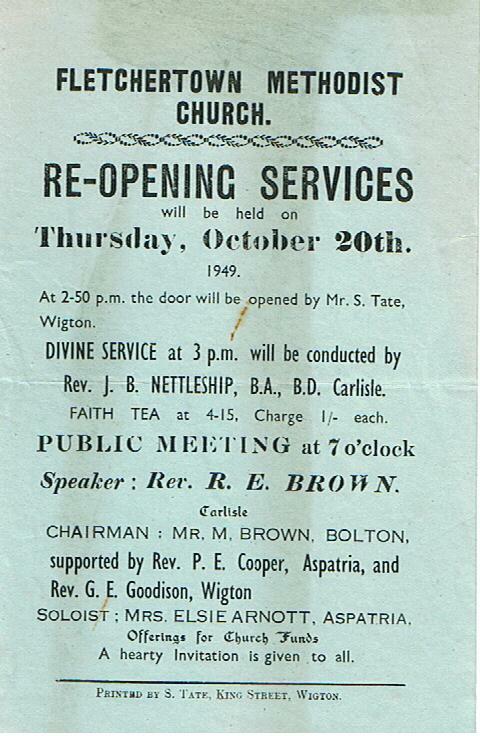 The flyer advertising the re-opening of the Fletcherown Methodist Church in 1949 suggests that there had been a period of closure for how long and for what purpose, I'm not sure. If you are able to throw any light on this please contact me. Email. 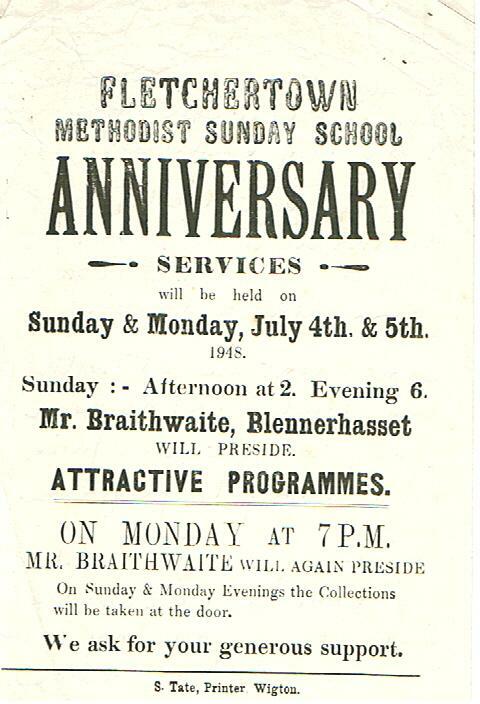 This poster advertising the 1948 Anniversary Services suggests that the closure was for a brief period, perhaps for repairs or refurbishment. It is clear that, at times, the Chapel had a thriving congregation. 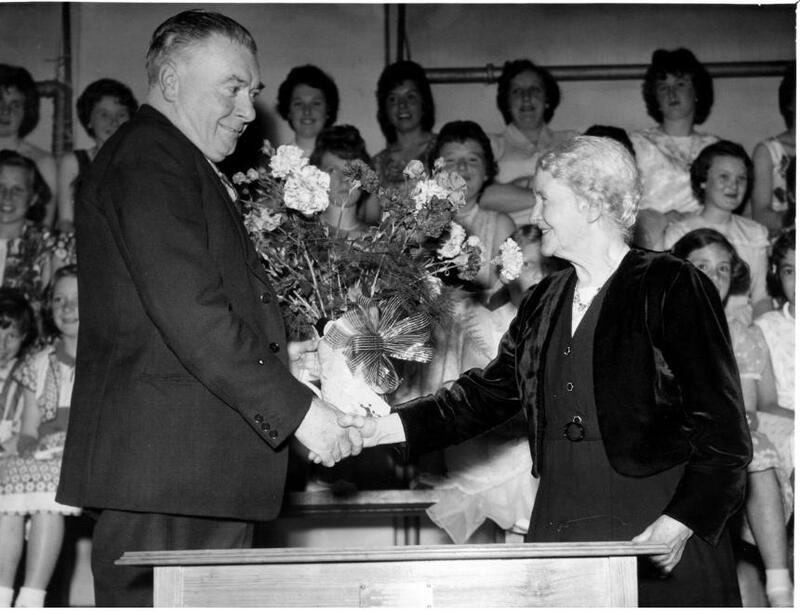 In the photograph below Marion Tate Beattie receives a bouquet of flowers from Jack Yeowart for her service to the Chapel. At the time of writing there is a proposal before Allerdale Council to convert the now disused building into a dwelling and work studio. 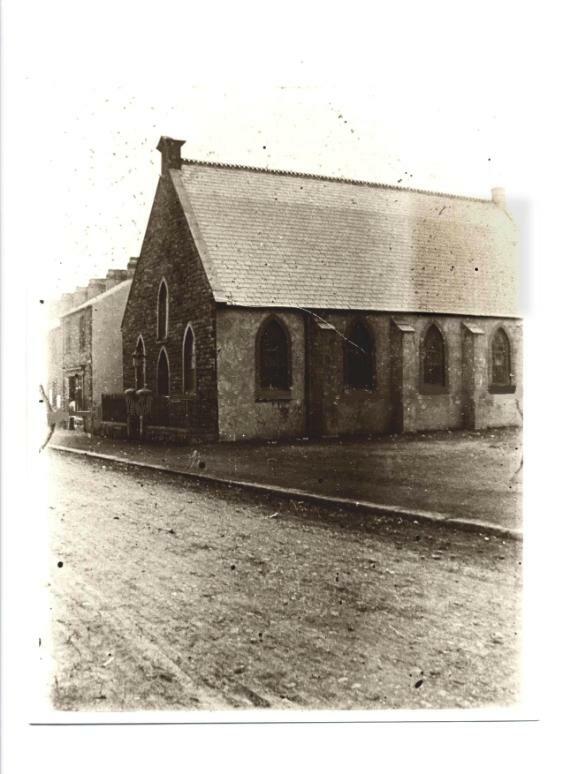 There was also a Methodist Chapel in Mealsgate next to the Old Co-op but this was demolished some years ago. 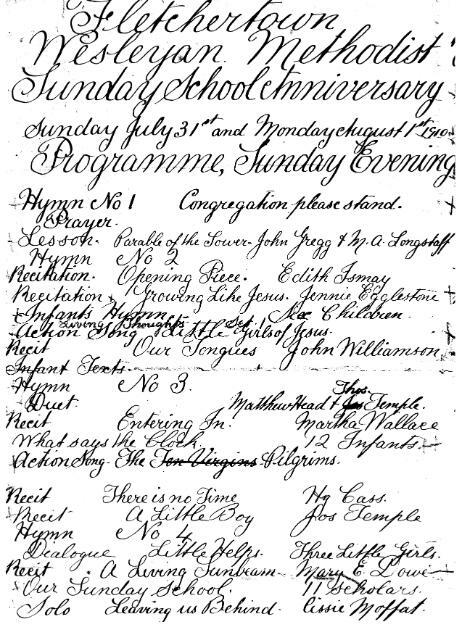 Julie Edgar tells me that her aunt, Maggie Lowther and her great aunt and great uncle, Mary and Jack Yeowart, also ran the Sunday Schools which she attended as a child. 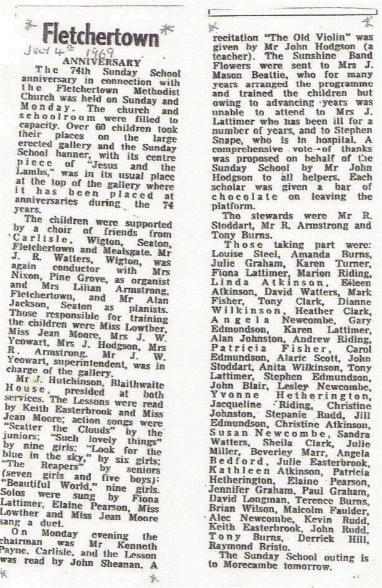 She has also informed me that Margaret Longstaff mentioned in the 1910 Anniversary Programme was the daughter of William Longstaff, brother of Jane Lowther, Julie's great great grandmother. The above photo is of an Anniversary celebration possibly dating to sometime in the 1950s. More information welcomed.